The village of Bethphage is remembered as the starting point of Jesus’ triumphal entry into Jerusalem on the day that is commemorated as Palm Sunday. 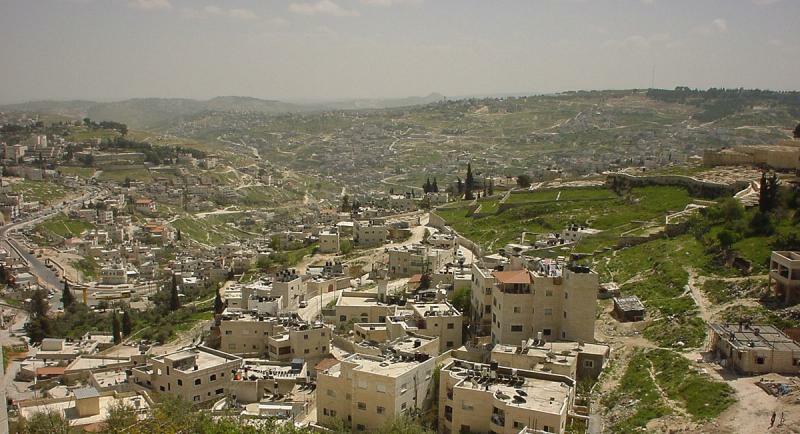 The exact location of the village, on the eastern slope of the Mount of Olives and close to Bethany, is uncertain. Bethphage was considered the outermost reach of the city of Jerusalem, the limit of a Sabbath-day’s journey (900 metres) from the city, and the furthest point at which bread could be baked for use in the Temple. The name in Hebrew means “House of unripe figs” — recalling that in this area Jesus caused a fig tree with no fruit to wither (Matthew 21:18-22). 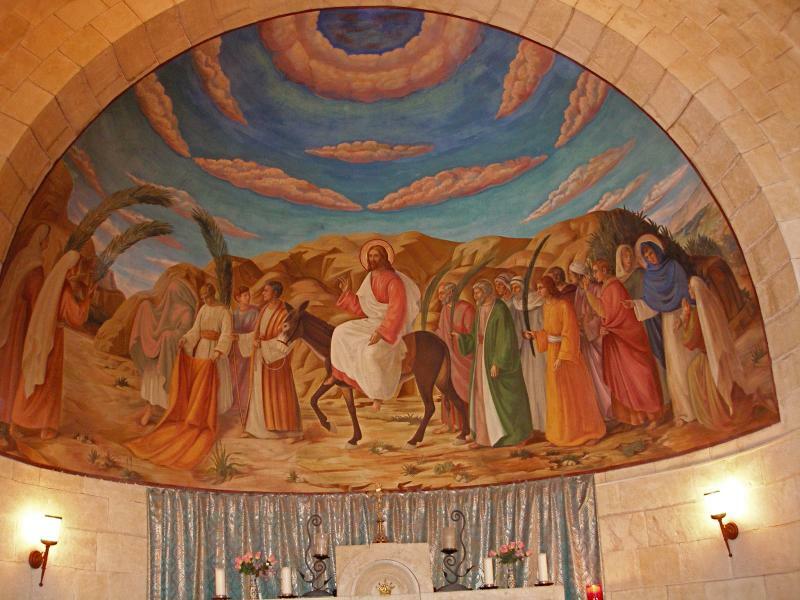 The memory of Jesus’ triumphal entry into Jerusalem is kept in a Franciscan church built beside the steep road that descends from the Mount of Olives eastwards towards the village of El-Azariyeh (ancient Bethany) and the Jerusalem-Jericho highway. 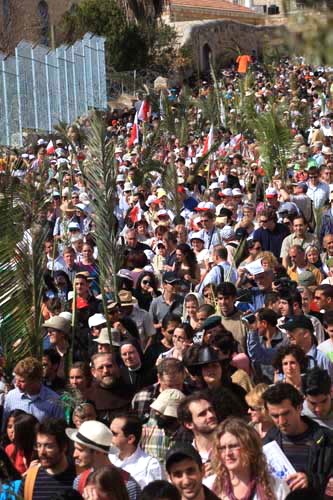 This is where the annual Palm Sunday walk into Jerusalem begins — a tradition begun during Crusader times. It was on his way to Jerusalem that Jesus stopped on the summit of the Mount of Olives, overlooking the panorama of the Temple, towers and palaces, and wept over the city as he predicted its impending destruction only 40 years in the future. Above the altar in the church is a mural of Jesus riding the donkey and receiving the acclaim of crowds. On display in the church, protected by a wrought iron grille, is a large square rock that the Crusaders regarded as the mounting-block Jesus used to mount the donkey. Biblical scholar Jerome Murphy-O’Connor is sceptical, suggesting the Crusaders forgot that “a Palestinian donkey was in no way comparable to their huge battle-chargers”. On the sides of the rock are medieval paintings, restored in 1950. These depict the disciples collecting the donkey and colt; people holding palm branches; the resurrection of Lazarus at nearby Bethany; and the inscription “Bethphage”. Just up the hill is a Greek Orthodox church whose courtyard offers a view and a place for reflection.